Helping young people step into their power and change their lives. Through Growth Mindset and Grit-themed motivational assemblies, parent nights, staff presentations, and video programs, Dr. Blake Brandes helps students recognize their inherent power and encourages them to remix their realities: to create lives they love by proactively changing their perceptions and actions. Would you like your students to be more resilient in overcoming challenges at school and in life? Do you want them to develop leadership skills and take ownership of their futures? By sharing meaningful lessons, comedic stories and family-friendly raps about his experiences in school, the music industry, and the non-profit sector, Blake helps young people realize that they are capable of changing their lives to be more successful... and they can have fun while doing it! Blake has spoken to over 150,000 students around the world and performed 346 presentations at 166 schools in 25 states last year. We often find schools bring in Blake to support their PBIS, AVID, Leader in Me, and district goals. To reserve one of Blake’s final remaining dates for Spring 2019 or to reserve a tour date for the 2019-2020 school year, please get in touch. 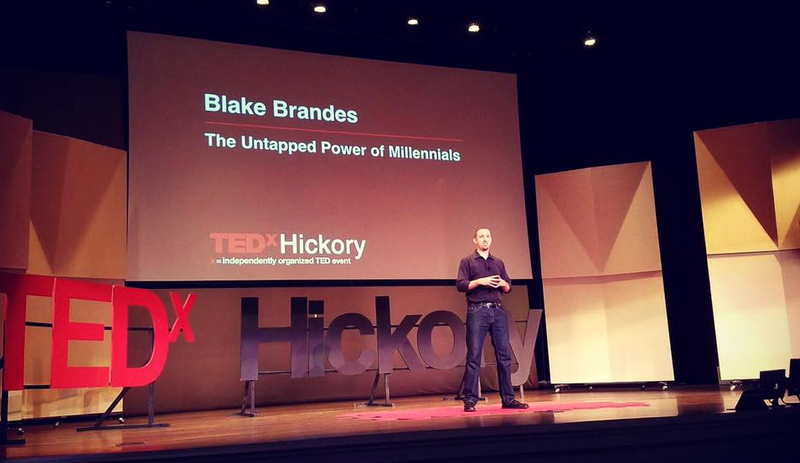 Click here to watch Blake's new TEDx Talk about his journey as an unlikely motivational speaker with a Ph.D. in hip-hop, his America's Got Talent audition, and his passion for helping young people create lives they love! Check out Blake's 3-minute Demo Video! A powerful video by a school district about Blake's visit!